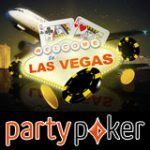 Win a seat to the Party Poker The Big Game V, one of the biggest live televised cash games in the UK. 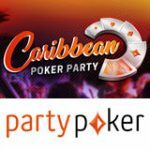 PartyPoker have 9 prize packages worth $15k each to be won in a cash games points race and a poker freeroll tournament. Qualify for your seat at Party Poker online, get a first deposit bonus when depositing using one of the bonus codes below available in three different currencies. Get your seat to the PartyPoker The Big Game V by putting your cash game poker skills to the test to prove you can grind with the best of them. The Big Game is a televised live poker cash game held at the Dusk till Dawn poker room in the UK,where you will be up against Tony G, Phil Laak and some of the best European Poker players. The qualifying tournaments run from 21 March to 3 April 2011. 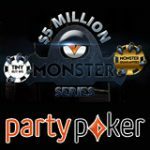 The Top 2 cash game grinders at each level (low, medium and high stakes) are guaranteed prize packages worth $15,000, three seats can also be won in the PartyPoker freeroll for players who rank in top positions in the leaderboard at each stake level in the points race. 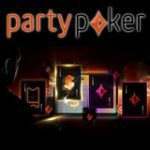 Prize packages can be won exclusively on PartyPoker, earn PartyPoints playing cash games to rank in the leaderboard where players can win The Big Game V Prize packages, cash prizes and freeroll entries. The Big Game V Prize packages are worth $15,000 which includes $13,000 buy-in plus $2,000 for travel and spending. 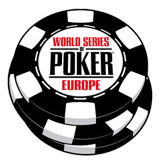 Players must opt-in from the Party Poker lobby to qualify for this promotion. High Stakes Poker players can win their seat in the points race leaderboard where the top 2 players will win a The Big Game V prize package, players must play No Limit Holdem or Pot Limit Omaha at stakes $10-$20 or more. The Top 20 players will also get their seat to The Big Game Freeroll 1 where one more prize package is up for grabs. Prizes: 1 x The Big Game V prize package. 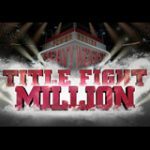 Medium Stakes Poker players can play for a seat to the Big Game by playing stakes of $2-$4 to $5-$10 No Limit Hold em or Pot Limit Omaha, players must rank in the Top 2 places to win a prize package, the Top 200 will win cash and The Big Game Freeroll 2 entries. Prizes: 1 x The Big Game V prize package, plus cash prizes for top 30 players. Low Stakes Poker players can qualify online for the Big Game prize package by playing cash games at $0.25-$0.50 up to $1-$2 either No Limit Hold em or Pot Limit Omaha. 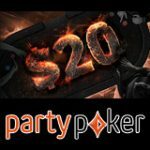 The Top 2 ranking players in the Low Stake points race leaderboard are guaranteed a Big Game V prize package, there are also cash prizes and freeroll entries to The Big Game Freeroll 3. Prizes: 1 x The Big Game V prize package, plus cash prizes for top 60 players.